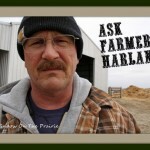 My weight conscious husband, Harland: What’cha making? Harland: I know I don’t need it. Me: No, I mean you don’t knead it. Harland: Yes, I know I don’t need it. Me: Argh, never mind. It’s bread with herbs in it. Harland: Oh, ok, sounds good. This is a really tasty bread recipe where you just mix all the ingredients together in a bowl, and then leave it there to rise – no kneading required. If you’re looking for a easy bread to make, this is the one. 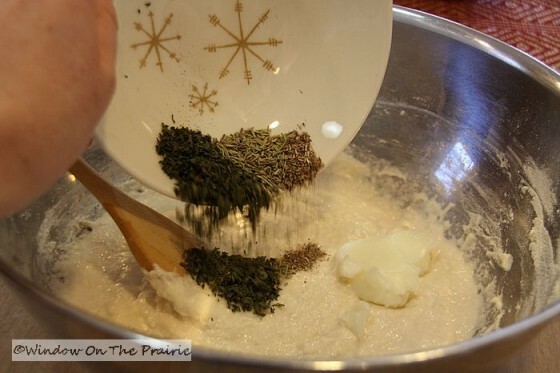 Note: If you want to leave the herbs out for a nice plain white loaf, go ahead. and stir until well blended. 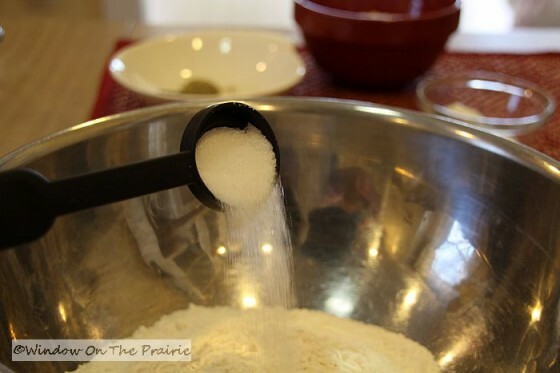 Scrape dough from the bowl and form into a round shape with spoon. Cover loosely with plastic wrap, and then cover with towels. Let rise for about a half hour or until double in size. 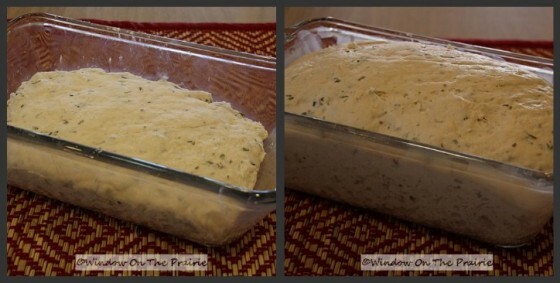 Grease 9 X 5 X 3 inch loaf pan. 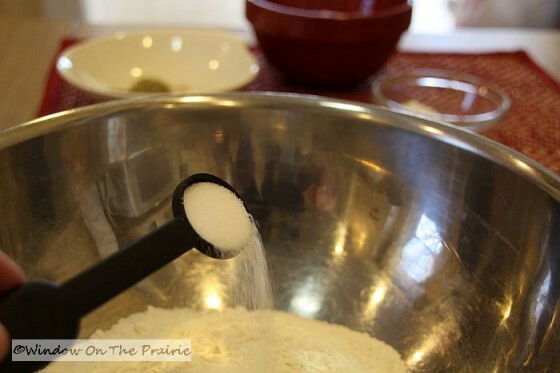 Stir down dough with a sturdy spoon about 25 strokes, then pour dough into loaf pan being sure to scrape all dough from bowl. 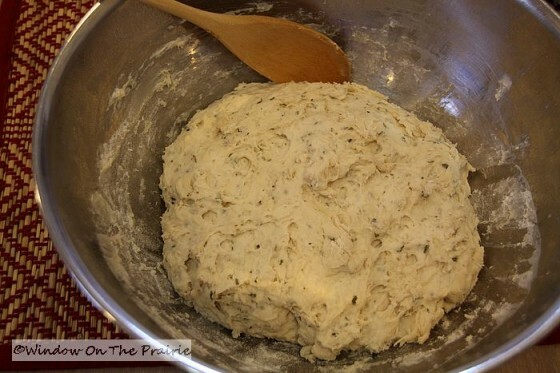 With well-floured hands, pat and spread dough evenly in pan. 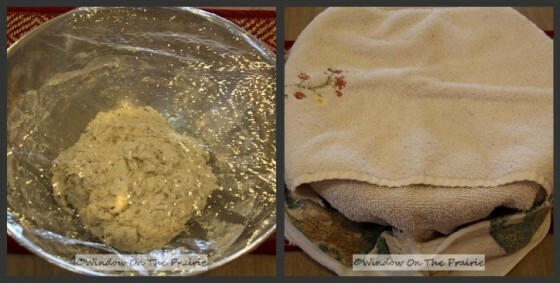 Cover with plastic wrap and towels and let rise again about 30 minutes or until double in size. 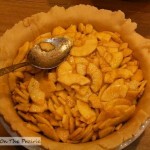 If it over-rises and collapses, just punch the dough down, and let it rise until double. Preheat oven to 375. 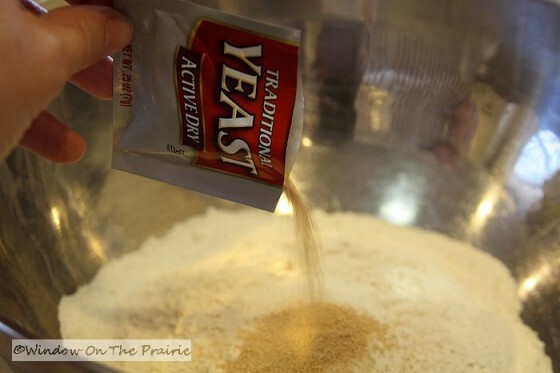 Bake 40 – 45 minutes until golden brown and loaf sounds hollow when tapped with your finger. Take loaf from oven, and melt a pat of butter all over the top. I like mine toasted and spread with butter. 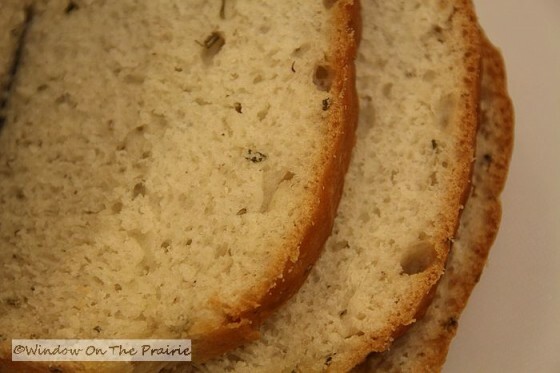 This bread goes well with soup or stew. Or spaghetti. Or chili. Mmmmm…. 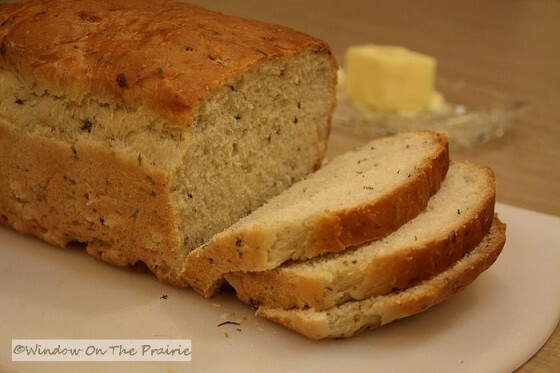 When was the last time you made homemade bread? ——–> UP NEXT: Spring is in the air. Are you ready? oh my goodness gracious! that looks delicious! I will definitely give this a try. I do love to make bread. It’s been a few months for me. 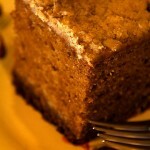 I have a great whole wheat recipe I plan on posting one of these day. 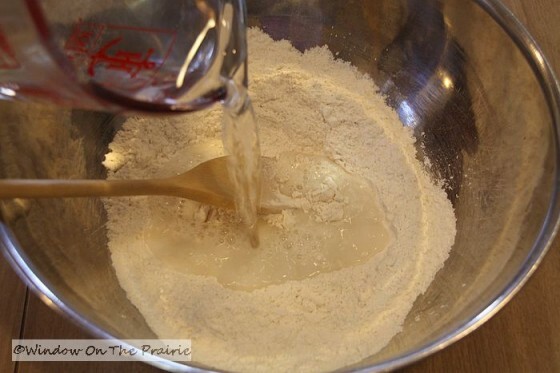 I have never made a no knead bread and I am very intrigued about your recipe! Oh and I love the conversation between you and Harland!! funny! Can’t wait for your wheat recipe! I was wondering how your recipe would do with the whole wheat flour. 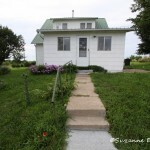 I’ll have to watch Bonnie’s site to see her post her recipe for the whole wheat. This one sounds too good not to try. I looked on the Wheat Council’s website, and found this answer for you: “Whole wheat flour may be substituted in equal portions (minus 1 tablespoon per cup) for all-purpose or bread flour” Happy bread baking! 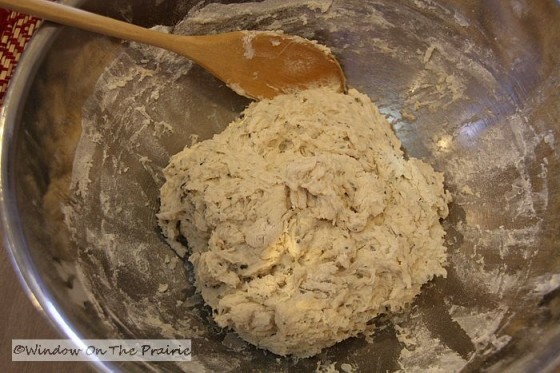 Your bread looks really good, but kneading is the best part of making bread! I agree. It may look like work to knead bread by hand, but I enjoy it. I just get into the rhythm of it and think about things. Oh my! Thanks so much for posting this – I’m definitely trying it. Your finished bread looks absolutely perfect, by the way. And that was an actual conversation too. I think we spend too much time together. 🙂 Not. I am actually making bread right now! 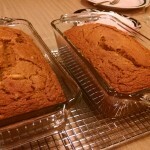 Two loaves of Honey, Oat and wheat bread. The third loaf I made up in burger buns. 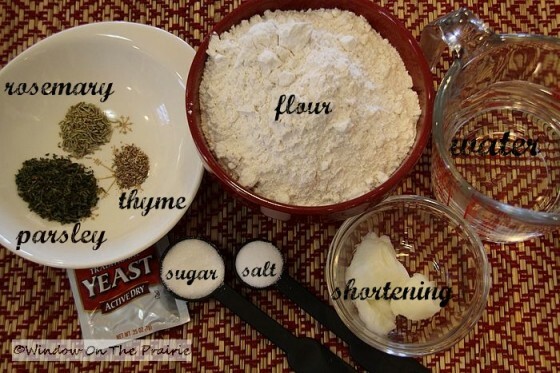 Your herb bread looks very tasty, I have never made a no-knead or an herb bread. I will have to try this one. I’ve never made bread with oats. 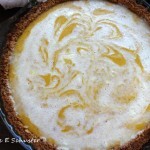 Is your recipe on your blog? I tried this recipe yesterday and it turned out great! I doubled it but did not have rosemary to put in it. We ate one loaf between my three kids, husband,and myself for supper. It was very simple and really delicious. Thanks for sharing it. 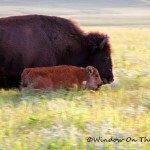 I enjoy reading your blog and am a fellow Kansan. Wonderful, so glad you and your family enjoyed it. I bake bread every weekend–during the winter months. DH would like me to make it year round. 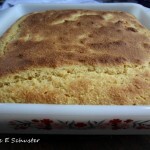 I usually make white bread, but a couple of weeks ago, found a wheat recipie that we LOVE. So, hopefully, I’ll be making more wheat bread 🙂 I’ve made a cheese/sun-dried tomato bread that is also very good with soups. 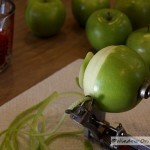 I’m going to have to try this one too! Is your cheese and sun dried tomato recipe on your blog? Mmmm that sound good…. This looks so good. Am off today so will have to give this a try to go with the French Onion Soup I made yesterday. You’re welcome, and thank you Glendus. Just want you to know that I made this last evening. It is delicious, am enjoying a piece for breakfast. This will become an oft made recipe. Wonderful! So glad you are enjoying it. Thanks for the bread recipe. So simple and delicious. 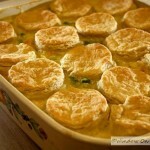 I have been trying different recipes and my family voted this one as the best! 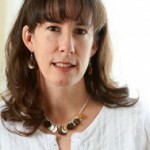 I really enjoy reading your blog. Thank you Lisa! Glad you enjoyed this recipe! I am a beginning bread-baker (this week SUCCESS! Two loaves of ciabatta and two loaves of whole-wheat honey oatmeal. Last week? Well, let’s not talk about that, will we?) and I am still trying to sort out the best types of loaf pans. I see you are using glass…do you prefer those over metal pans? Does the bottom of the bread brown nicely in glass? 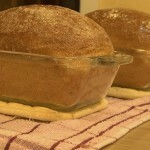 I prefer glass because I can see how the bottom of the loaf is coming along, and loaves seem to brown more evenly too. 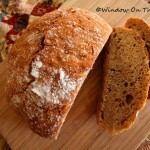 For any of you readers who are thinking about trying this bread recipe…you should..it is fantastic! I followed the recipe to the “T” and it worked out perfectly! I love the taste of the herbs. 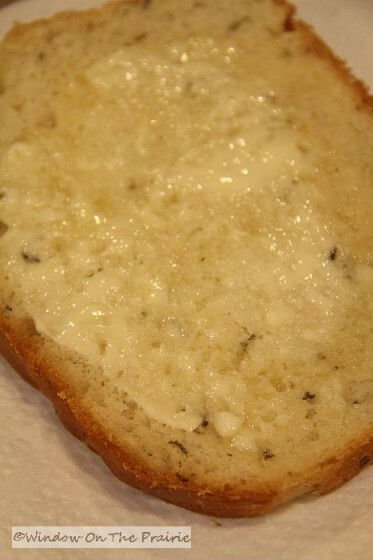 It makes great toast with butter…very delicious! 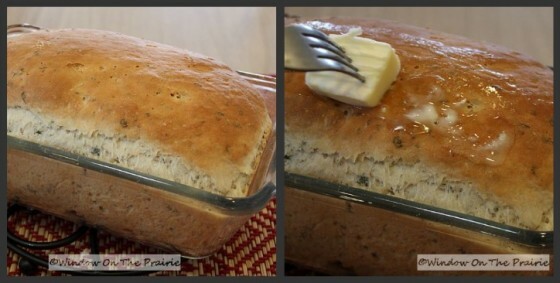 It’s the easiest bread recipe I have ever made! 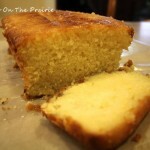 Suzanne, this is the same recipe I have been using for years, but without the herbs. I made it the other day adding the herbs you suggested and it turned out fantastic! I would never have thought to add things to my recipe. Thanks for the idea! You’re quite welcome, and Thank you Kathy! I made this for dinner tonight to go with an Irish beef stew, and wow, was it delicious! Great recipe, and almost NO trouble. It makes me wonder why I do so poorly with other bread recipes? Oh well, thanks for the awesome recipe, it was so very good! Wonderful, Janet! So glad you enjoyed it. Just wanted to let you know, my daughter made your herb bread for her food entry in 4-H. She got Reserve Champion and the judge thought it was delicious! Thanks for sharing it. I also made the homemade soap during Spring break (kids were at Grandma’s) and entered it in open class and received a blue. I really like it. 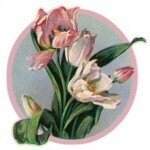 Love reading your blog, keep posting! Pictures are beautiful. Oh wonderful Annette. I’m so happy for your daughter. Does this mean she gets to go to the state fair? And great news about the soap too. Isn’t it fun to make things from scratch? Yes, she plans to take it to the state fair. I enjoy making things, wish I had more time. I stayed home with my kids when they were little and seemed to have more “playtime” of my own too. Working has cut into that!! Me too. Love making things and wish I had more time as well. Sometimes I wish I had been born in a slower less hectic time in history. What a beautiful presentation! 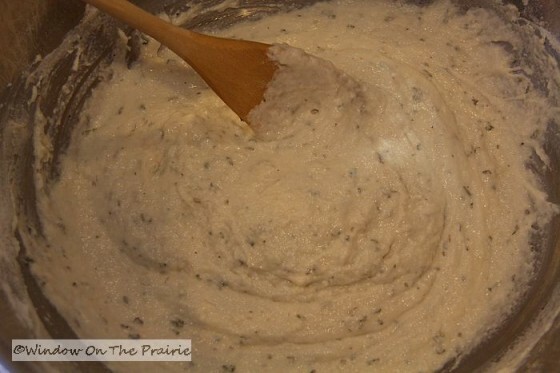 Great easy recipe – another way to use my frash herbs. Love it. I turn to this recipe all the time. Its great. 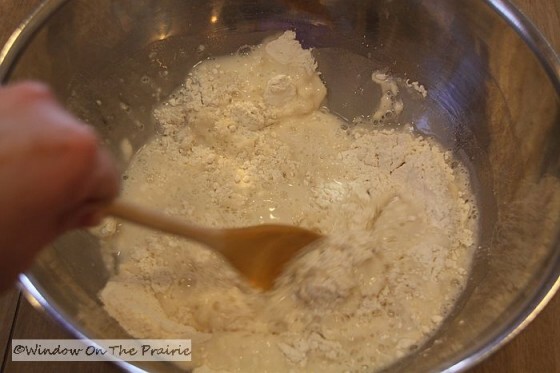 Try subbing 1 of the 3 cups of the flour with whole wheat flour…mmmmm. 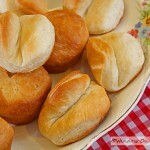 Excellent bread and so easy to make! I made them into muffins. 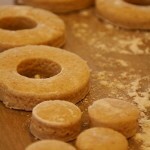 Next time will try making with whole wheat flour, do you have the quanities for whole wheat? 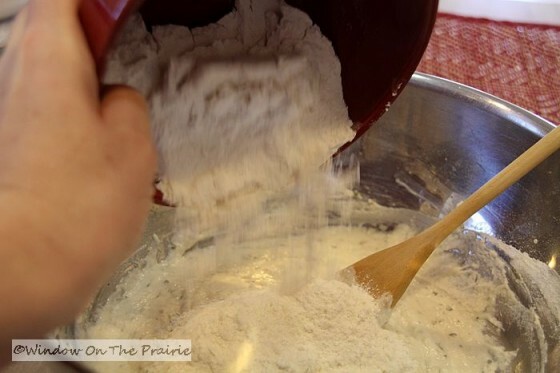 Whole-wheat flour usually can be substituted for part or all of the all-purpose flour in most recipes. 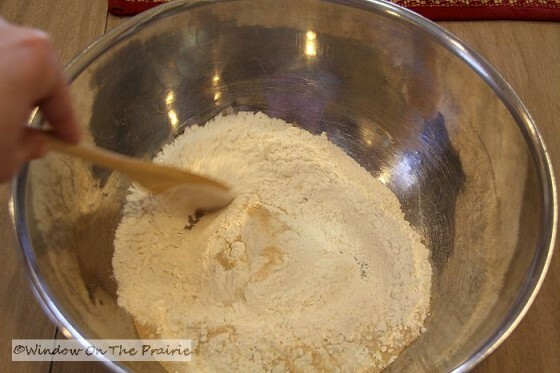 If a recipe calls for two cups flour, try one cup all-purpose and one cup whole-wheat. 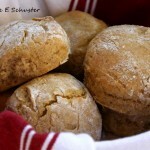 When completely substituting whole-wheat for white, use 7/8 cup whole-wheat for one cup of white flour. I made this today and it is delicious!! Any way to make this work with a bread machine? I am new to that sort of bread making, but really would like to try. Never used a bread machine before, so I can’t really say. 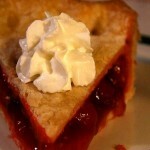 You might look online for a similar recipe that can be used in a bread machine. 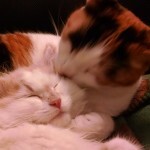 I just want to tell you that I love! love! 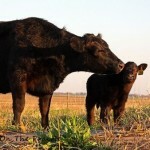 your website and I want to also thank you so much for such hearty recipes that I will be trying for my family. 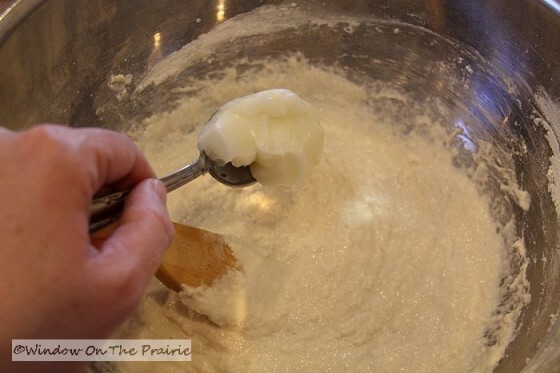 Hi Suzanne, Can I use butter instead of shortening for this recipe? Generally, you can use butter or margarine in place of shortening, but making this substitution may slightly alter the texture of baked goods. 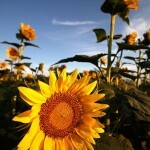 Shortening is 100 percent fat, but butter and margarine are composed of about 85 percent fat and 15 percent water. You might try half and half. Let me know how it turns out!